The Chrome Unboxed team has descended on New York City in preparation for Google’s hardware event just hours away. Since we’re all here and part of the overall experience is about what happens outside the actual event, we decided to put some serious time into our Instagram account and Instagram Stories. Today’s activities may seem a little ho-hum, but rest assured: there will be lots of content tomorrow before, during and after the event. For tonight however, you can check out our first day in NYC as we prepared (with the help of tons of coffee) for tomorrows event. Of late, we’ve really tried to give more time and attention to our Instagram following, and we wanted to really leverage the platform to give all of you a little closer look at what we do at these events when the show isn’t going on. So, head over and follow us on Instagram to keep up with all the action over the next 48 hours. We’re so excited about sharing in this new way that we’ve even decided to throw in a little give away for new followers. Simply use the links below to follow along on all our social channels to be entered to win a brand new 2nd-gen Chromecast. Easy. Oh, and thanks in advance for being a part of the fun! 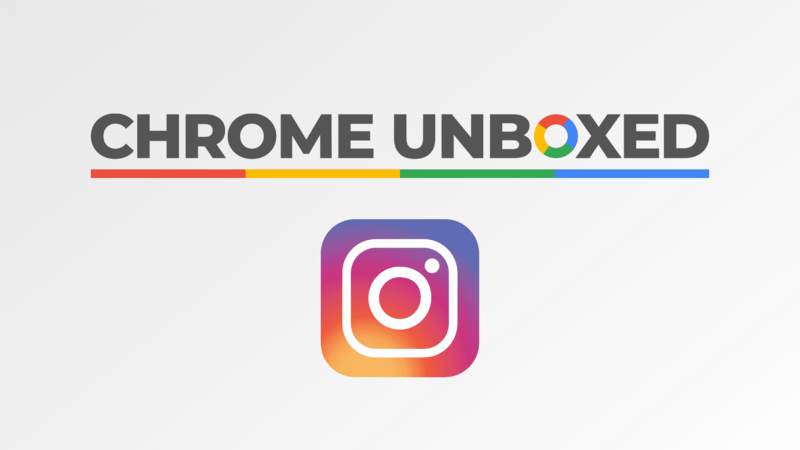 Follow Chrome Unboxed and Win a Chromecast!